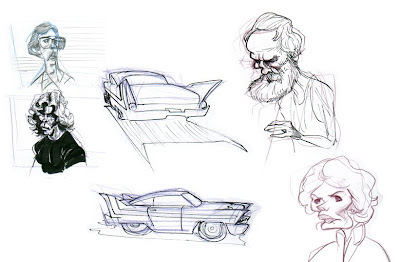 Here are some more sketches from my sketchbook for ya. A few months ago a re watched John Carpenter's Christine, based on a Steven King book I read when I was young, and for like a week I convinced myself I was gonna make a whole comic book movie adaptation of it. That Carpenter is a genius. 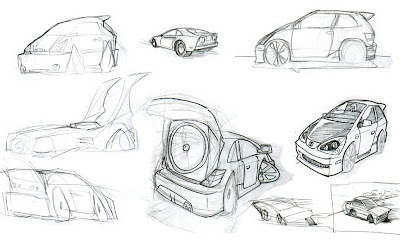 Some evidence of my love of hatchbacks. 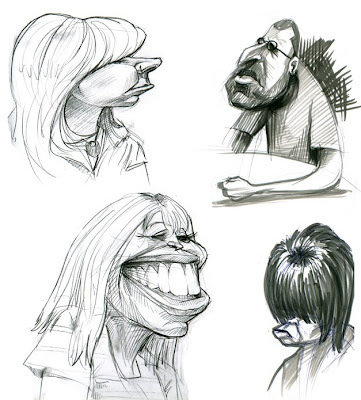 Stuff from a caricature convention almost a year ago.